Man, at least two more of these movies, huh? 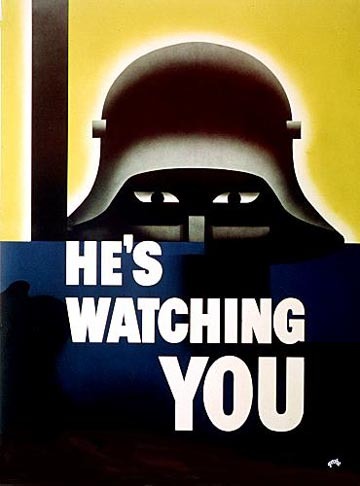 And you know who is watching you. Keep at it, I'm pullin' for ya. C'mon guys! My DVD is sitting in a blank case! An unmarked blank case? Why don't you just wrap it in plain brown paper to get the full feel? 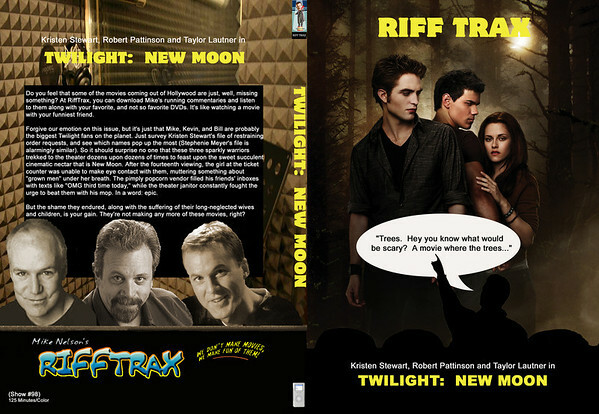 Well it's a transparent slimline case, so you can see the DVD-RW with TWILIGHT NEW MOON RIFFTRAX through it. I'll be working on mine today... I'm just trying to work in more sparkles. It seems the last batch of twilight covers were lacking in that area according to some people. Something I've been playing around with. Too bad it's too low-res to make a suitable DVD cover template. Okay... cover is finally done. This one took a bit of work to finish. See second post in this thread. ... oh, and I apologize for the screencaps on the back. They may disturb you.